Together with the community nearing its 100,000th thread on the Discussions plank, we checked on some intriguing Design Dilemmas to view how the jobs are shaping up. See how one user found the solution into a maybe-too-turquoise midcentury outside and another turned a backyard disaster in Dallas to a mini oasis. And find how one homeowner saw the great quick fix to get an outdated fireplace surround. Have your own design problem? Start a discussion. BEFORE: consumer Maggie Panther was thrilled about her new midcentury atomic ranch in North Carolina, preserved in its own kitschy glory. The exterior colours were fun, but the look did not fit her neighborhood, so she switched into the community to get ideas. Expensive fixes were reserved for essential structural modifications; Panther merely wanted to repaint to freshen up the outside. consumer Barbara Carithers created a great mock-up of a few possibilities. Almost all the 55 comments suggested that a neutral to pay the bright yellow and blue, with 23 voting for taupe or gray. Did any of the sour live? See the photo. AFTER: Panther selected charcoal and light gray paint for the trim and the awning. While users were ripped in the turquoise doors, Panther could not bring herself to pay them up and preserved the first color. BEFORE: Ivie Imoisili could not wait to update her large yard and wanted a relaxing water feature as the key focus. She hired someone promoted as a landscape professional to install a pond and a waterfall. She was disappointed with the outcome, pictured here, and was desperate to get assistance. ers confirmed Imoisili’s suspicions that the project did not seem professional and indicated that she visit a local nursery for plants which would work best within her climate. After several of the 94 comments recommended tall plants to cover the fence, Imoisili chose myrtle and pampas grass. Readers also suggested some blossoms in this particular shot for color, in addition to boulders for texture. AFTER: Another er urged that Imoisili request a contractor for photographs of a job right once it was set up and then a few years down the road — to see how the job holds up over time. 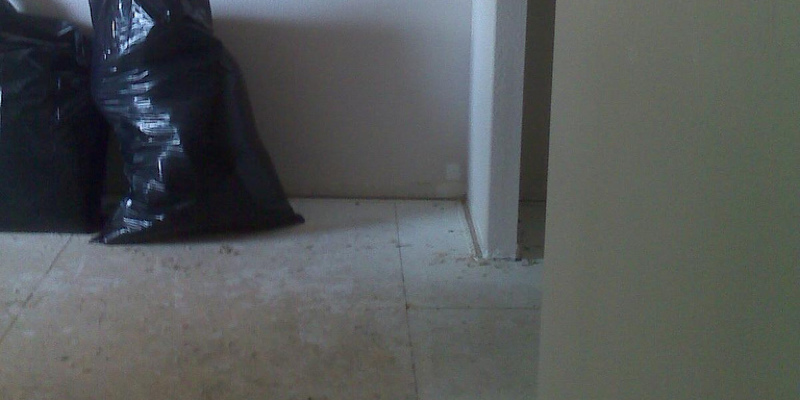 She did find a qualified builder who cleaned the mess up and got the job back on track. The first pond was drained and cleaned out, and fresh boulders, stones and pond plants were installed. After sod was set in and a brand new pond filter set up, Imoisili finally obtained the water feature she had dreamed of. BEFORE: Nadine Abdo Kerr was thrilled with the new paint colours in her living room, but the first fireplace surround did not look great with them. It had been driving her mad, and she was looking for a fast fix. It was a matter of painting the mantel, the tile or both. users suggested painting both the tile and the mantel, picking colors according to her furniture. One user suggested that Kerr speak with a specialist at the paint store to make sure the paint will resist heat. Several users thought that retiling completely was her very best choice, and three stated that she should remove the mantel for a cleaner look. A few professionals jumped, suggesting that she might want an expert’s help for it. AFTER: Contemplating her chocolate-brown leather furniture and the remainder of her living area’s neutral colour, Kerr took the 24 comments in the conversation into account and painted the tile, the mantel and the glass doors. A few coats of a fantastic oil-based primer and a quality semigloss paint created a difference that took her by surprise. Since she had been only looking for a fast fix, this functioned perfectly. “It won’t be my dream fireplace, only something I can live with,” she says. In progress: consumer Chris is going to move to his first house — a Boston condominium with a loony vibrant kitchen. While the tangerine cabinets are unique, he’s having troubles figuring out which pub counter tops and backsplash will proceed together with the bold hue. The neighborhood has already pitched, but 31 comments later, he still needs help figuring out furniture options. What do you think? Tell us Do you have a design issue in your hands? Ask the community for ideas!